Do you belong in a book club? Take the quiz now! You probably do too, given that you’re reading an article about book clubs. Let me ask you, gentle reader: how many times have you read a book and felt the urgent need to discuss it with somebody else? For me, this happens about once per week whenever I finish my latest read. If not for my book club friends, I’d never have a chance to talk about any of them-my husband is just not interested in Irving’s depiction of Owen Meany as a Christ figure. Go figure! Maybe you’re eager to join a club but aren’t sure where to find one. Perhaps you and your friends want to start a brand new club together. Or, you might consider the reading experience private and would rather not discuss every little detail of every single book you read with others. Touché. Not sure what to think? Take a few moments to respond to the quiz below, and we’ll give you our honest assessment as to whether a book club is right for you. 1. You are at a restaurant and overhear a family having a rather loud conversation. You notice that one person frequently interrupts others to make her points. How does this make you feel? 2. You have to make an important speech at an assembly in five minutes. What have you done to prepare? 3. You are attending a group orientation for your new job. Everyone is new and doesn’t know what to expect. Midway through the training, you and the other participants are given a one hour lunch break. How do you proceed? 4. Your child is given the chance to do an extra credit project for school. Completing the project could secure his A average, but it will require some work. How do you proceed? 5. It’s Thanksgiving and Uncle Todd’s political views are basically the polar opposite of your own. As soon as the turkey arrives, he makes a cutting, somewhat ignorant remark that sets your skin on fire. He glares at you, awaiting a response. What do you do? If you got mostly As A book club might not be the best thing for you. You enjoy reading but would rather spend time by yourself and don’t like the idea of having to do homework or meet deadlines. You may also have a hard time putting up with quarrelsome or disrespectful people, especially if they disagree with you on something. If you got mostly Bs You could really benefit from participation in a book club. Check out meetup.com, bookbundlz, or your local paper to find a club near you. It also doesn’t hurt to ask your friends if they know of any clubs looking for new members. You may also like this article that lays out the finer points of how to join a book club. Have fun! If you got mostly Cs Friend, you’re not just one to join a club, you’re leader material. Read my series on how to start a book club and set-up your own today. If you got mostly Ds A book club could be fun for you, but you’ll probably enjoy a club that is more free-flowing and fun. Find a club that is light and doesn’t take itself too seriously. One that incorporates a food or drink element could be perfect for you! 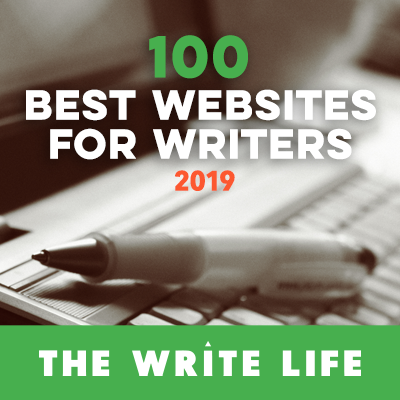 [jbox]This post originally appeared on Terri Giuliano Long's blog, The Art & Craft of Writing Creatively[/jbox] About this post's author: Melissa Storm was born with a fountain pen grasped firmly in her left hand (true story). 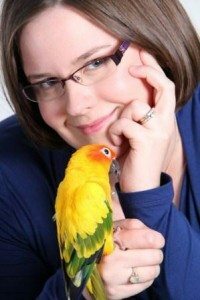 Novel Publicity’s mascot is a sun conure, thanks to her obsession with birds–and she gets to decide anyway since she is the company’s founder and president. Her first novel, Farsighted, won the prestigious Writer’s Digest Self-Published Novel of the Year award in 2012 for the YA category. She now writes most of her fiction under her real name, Melissa Storm. Learn more or connect with her her author website: www.melstorm.com or via Goodreads, Facebook, Twitter, or LinkedIn. Just took the quiz…I’m all about the B’s and D’s. And I do belong to a great book club. In fact, they read BLUFF before it went to the designer and gave me a lot of excellent and helpful feedback. It also doesn’t hurt that we serve wine and apps.